Mumbai, Mar 10 (PTI) Filmmaker Tigmanshu Dhulia has a solid clarity of what he wants to do: make films which have his trademark style and never chase stars to get his dream on celluloid. The director, who has helmed mid-budget but critically acclaimed films like “Paan Singh Tomar” and “Saheb Biwi aur Gangster” series, has learnt over the years on how to avoid the pressure of having a star to headline his film. “I don’t want to sound pompous but I want my films to be a ‘Tigmanshu Dhulia Film.’ Whether it’s a hit or a flop, doesn’t matter. I came to this industry to make films, not to make films with stars. “Now I’ve learnt to not approach those producers with those kind of scripts where they will ask me to get a star. 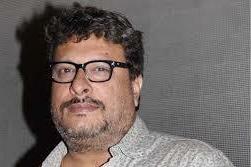 I don’t fall into that trap anymore,” Tigmanshu told PTI. The pressure on a director to get a star on board can be quite daunting. Tigmanshu first hand experienced this while making his upcoming directorial, “Milan Talkies”, which earlier had several names attached to it, from Shahid Kapoor and Priyanka Chopra to Imran Khan. Though conceptualised around 2011, Tigmanshu had to cross several roadblocks to finally make the film. “Earlier UTV was supposed to do it but I had a fallout with them because they weren’t releasing ‘Paan Singh Tomar.’ There was a gap then and Ekta pushed really hard. I’ll give it up to her. The filmmaker is now ready to release “Milan Talkies” on March 15, featuring Ali Fazal, Shraddha Srinath, Sikander Kher and Ashutosh Rana, among others. The director, however, had to tweak the writing a bit as the film kept on getting delayed. Tigmanshu has often set his films, including “Milan Talkies”, in small towns and he says the reasons is that most of the intriguing stories come from there. “If you take up the films set in small town and try to make it in Mumbai, it’ll not work. Small towns bring a lot of conflicts of various kinds. Apart from Mumbai and probably Bangalore, every city in this country is a small town anyway, where values and traditions still exist. “Despite Delhi being the capital of the country, people there have small town mentalities. But not Mumbai. Mumbai is an office, not a home.